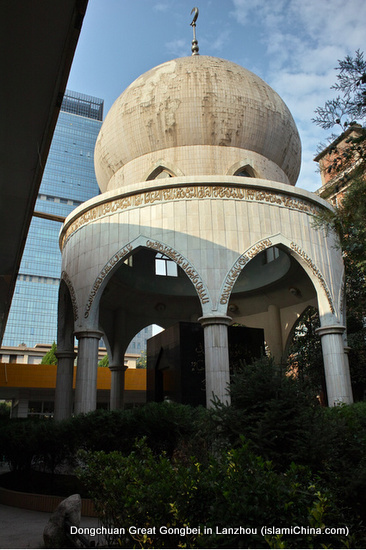 Gongbei is the Chinese translation of the Persian word Gonbad which means Dome. 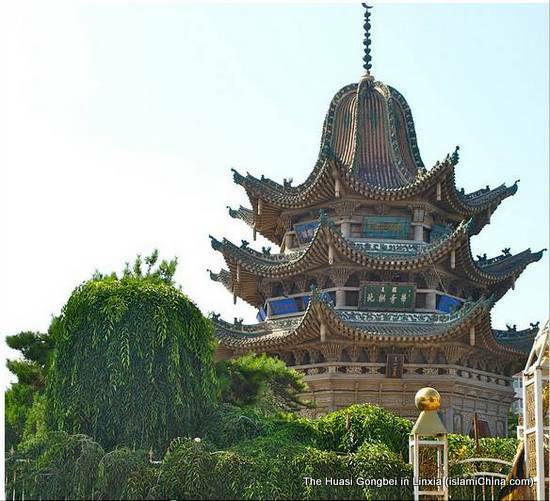 Chinese Hui Muslims living Northwest China’s Gansu, Ningxia and Qinghai provinces named tombs of Muslim sages or outstanding Muslims Gongbei to show the difference and their respect. 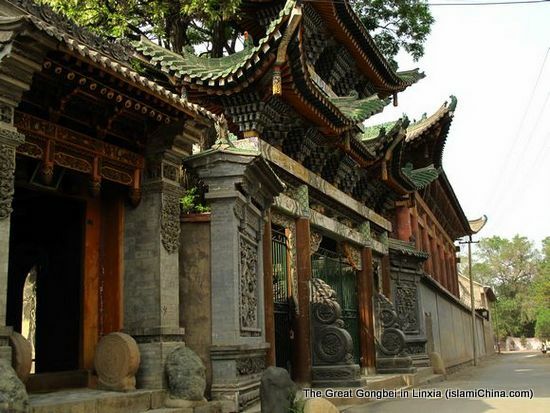 Gongbei is related to Chinese Sufi Muslims who usually built a Chinese courtyard style tomb garden centered around a grave of a Sufi master, typically the founder of a Menhuan (a Chinese Sufi sect). 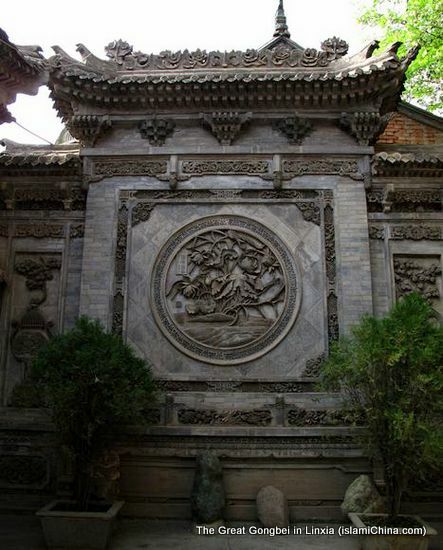 A Chinese pavilion was usually built on the top of grave. 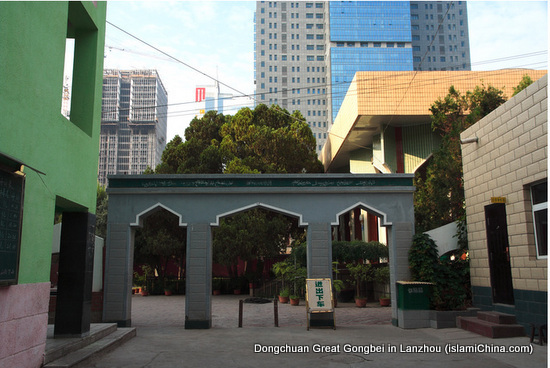 Gongbei is not only the grave yard of the founder of Sufi sect of Menhuan leader, but also the retreat place of his successors, the place where his followers perform prayers. 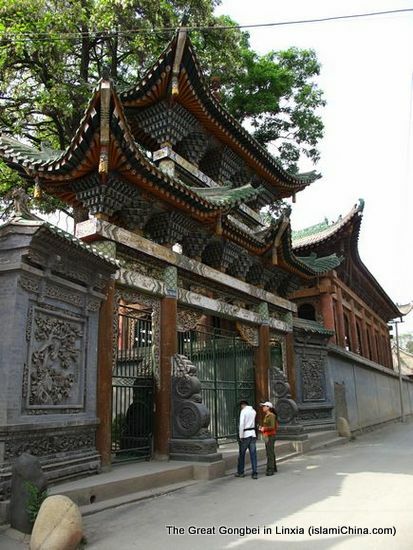 The tradition of building Gongbei started During Qianlong (1735 - 1796) and Jiaqing period (1796 - 1820) of the late Qing Dynasty. 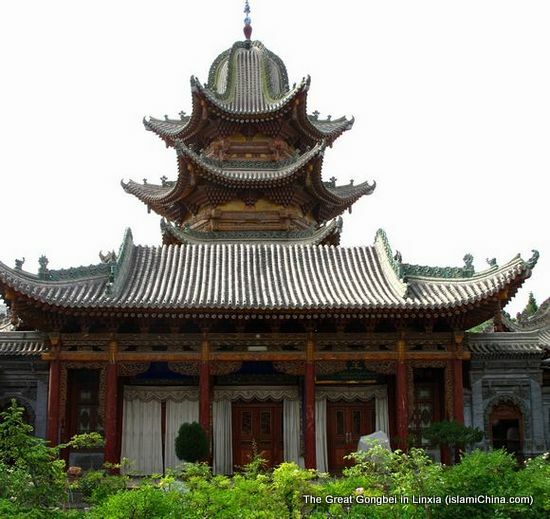 The layout of Gongbei is a traditional Chinese courtyard which combines Islamic architecture with traditional Chinese architecture. 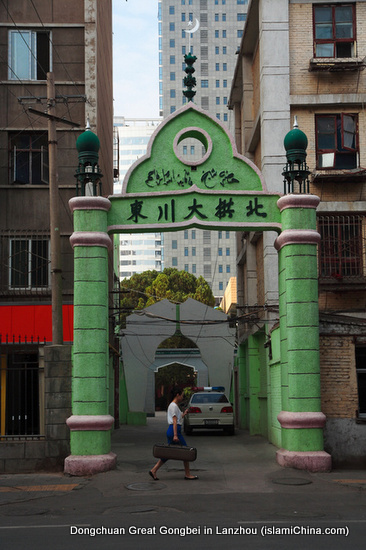 During the Culture Revolution from 1966 to 1976, Gongbei in Ningxia, Qinghai and Gansu provinces were destroyed because Gongbei was viewed as relics of the old "feudal" order and symbols of Islam (no religion was allowed to be practiced in China during this period of time), as well as for practical reasons ("wasting valuable farmland"). 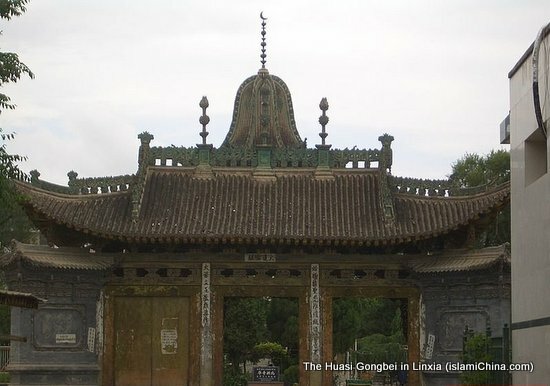 Once the freedom of religion became recognized once again in the 1980s, destroyed gongbeis were often rebuilt once again. 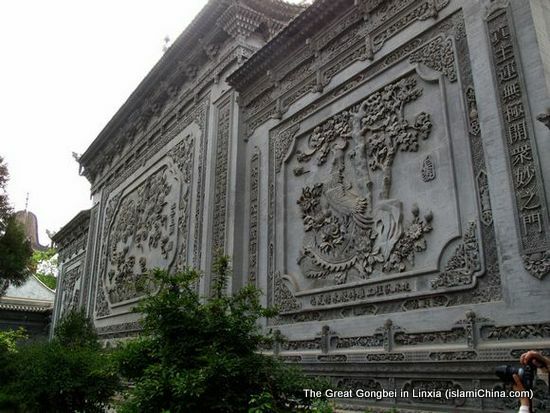 Linxia’s Da Gongbei (the Great Gongbei) is the shrine complex for the founder of the Qadiriyyah school, Qi Jingyi who is also known as Hilal al-Din. 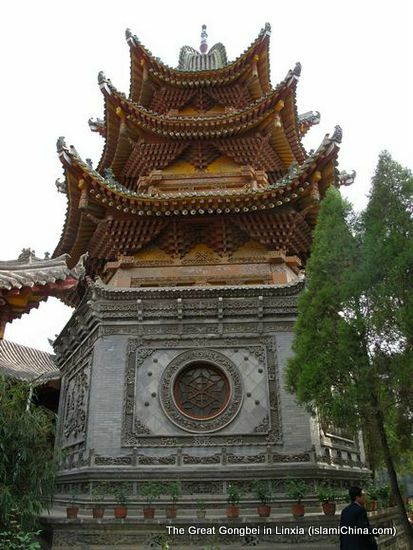 The Great Gongbei in Linxia is the center of the Qadiriyyah Sufi in China. 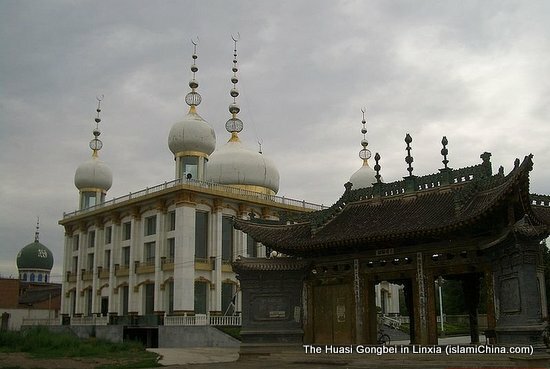 Linxia’s Huasi Gongbei was tomb of Ma Laichi, also known as Abu 'l-Futūh Ma Laichi who brought the Khufiyya movement to China and created the Huasi Menhuan (Sufi order) - the earliest and most important Naqshbandi order in Chinese Muslim history. 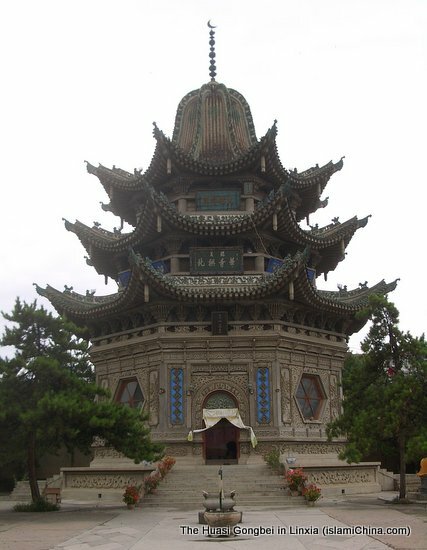 Lanzhou Dongchuan Great Gongbei was the tomb of Ma Mingxin, a Chinese Sufi master, the founder of the Jahriyya menhuan (Naqshbandi Sufi order).